An intact environment is our greatest asset. 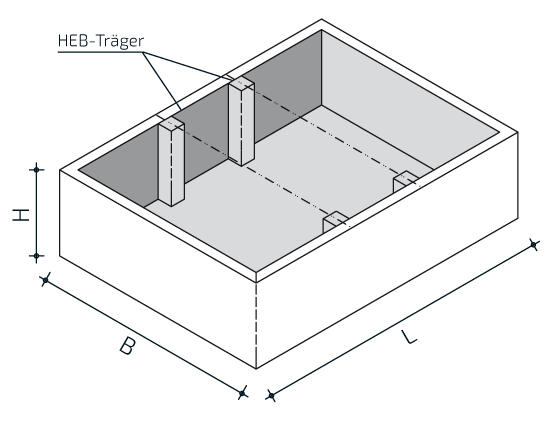 That is why we manufacture prefabricated drip basins designed to catch water-polluting liquids escaping from a system. Fully leakproof and resistant to the substances it stores, the SCHEIDT concrete drip basin complies with the stringent German “Technical Rules for Substances Hazardous to Water” (TRwS). Designed as modular components for low, medium or high load according to TRwS, the drip basin is adapted to your specific requirements of size and purpose. 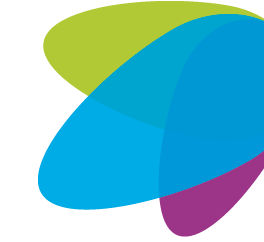 Three series offer a broad range of combination possibilities. 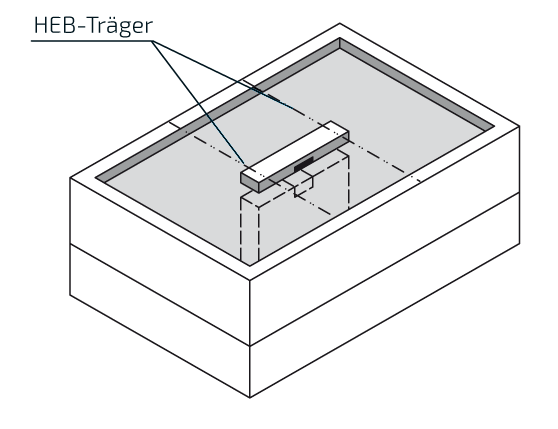 The fitting options are comprehensive: Concrete or grate cover with access hatch, grounding bushings, closed HRD sealing sets and stainless steel DN 125 basin connectors. We are also glad to provide transformer rails, roofing and other fittings and structures for you. Drip basin without bottom cover of conventional type, with and without additional equipment. 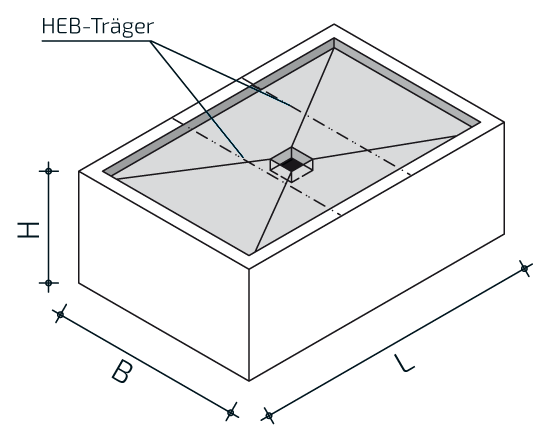 Drip basins with covers, with support structures, consoles or partitions. 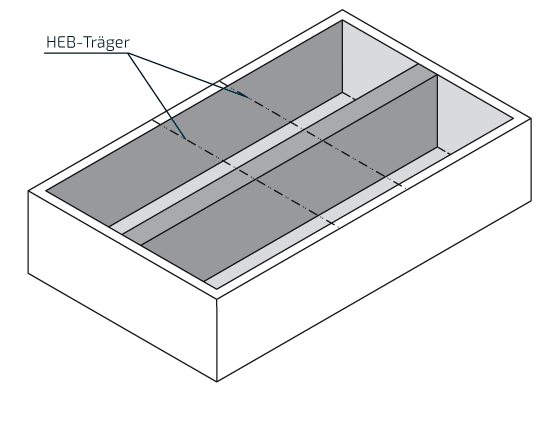 Drip basins without covers, with support structures, consoles or partitions. 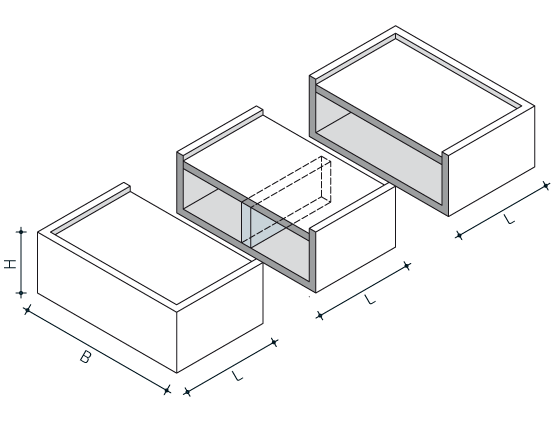 One, two or three-part foundation basins. 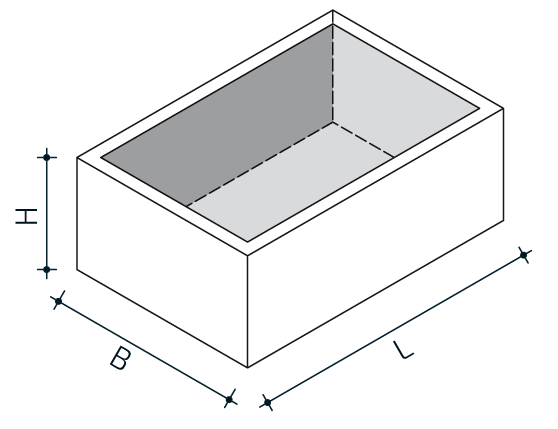 Foundation basins can be manufactured in one, two or three parts. 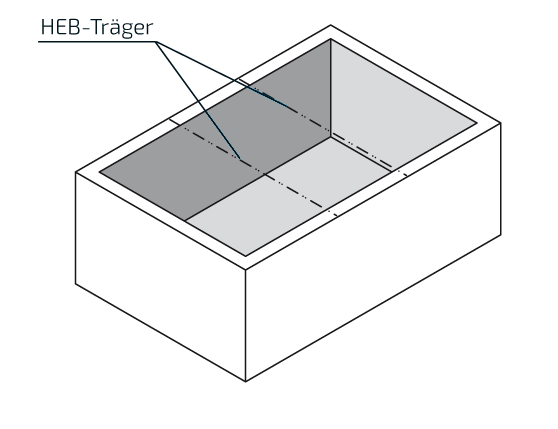 Corresponding joints or basin connectors are included in the approval.